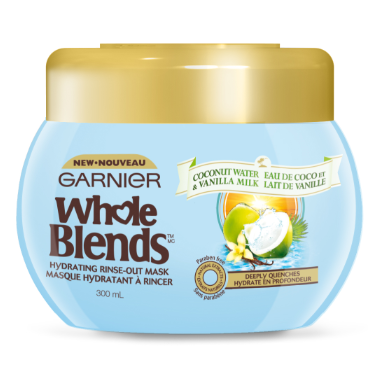 Garnier's deeply moisturizing yet light & silky formula blooms with a tropical fragrance of coconut water & vanilla milk, bringing to life our wholesome care that gives strands a deep dose of hydration without weighdown, for hair that is delectably soft with silky shine. Directions: After shampooing with our Hydrating shampoo, apply a generous amount of treatment to hair. Gently work through hair, making sure to cover the ends. Wait 3 minutes, then rinse thoroughly.